In ca. 1932, LP8389 was bought by Joseph Crosfield and Sons of Warrington who were replacing their aged steam appliances. At a similar time, a Morris Commercial fire engine was also purchased. 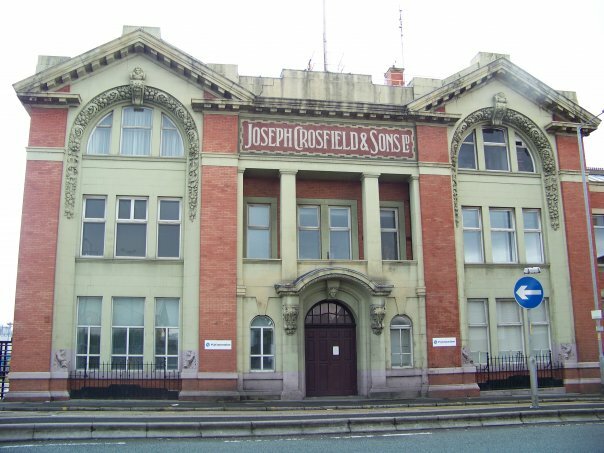 Joseph Crosfield and Sons were a large chemical company with products including Persil soap powder. It is unclear exactly how LP8389 made the transition from London to Warrington, but she may have been sold via Dennis and/or a scrap dealer (at this time the London Fire Brigade were part exchanging their older appliances with Dennis). 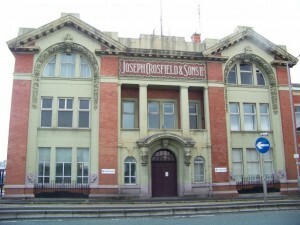 Joseph Crosfield and Sons Fire Brigade was an advanced private fire brigade. The extensive chemical works had fire mains running through all the buildings, with hand appliances throughout. The brigade was picked from company personnel and in 1907 there were 131 firemen in the brigade. It seems likely that this level of staffing was maintained. There were annual competitions between the Warrington and Liverpool Crosfield’s fire brigades and the Crosfield’s brigade often won the Challenge Shield of the National Fire Brigade Union. It is likely that during her time at Crosfield’s she underwent conversion to John Morris instantaneous couplings for compatibility with all their other equipment. Manchester and Liverpool were both heavily bombed during the blitz in World War II. Warrington, being an important industrial town half way between the two, was also targeted. Although there was a strong National Fire Service presence, it is likely that private fire brigades were also mobilised. This yields the question: Did she help with World War II along with ED810 which was based at the Greenall brewery, Warrington during World War II? ED810 is another preserved N-Type, currently residing in Holker Hall. During her time at Crosfield and Son, her original Gwynne pump was removed when the priming pump gears were damaged. For the rest of her working life, she towed a trailer pump.